The band operates as a three piece – Pachy takes care of the drumming and vocals. Marco plays bass and Paco plays keyboards, and both together provide backup singing. Their album packs a psychedelic punch like the best of their California-based brethren, elevating songs from wild to straight-up berserker status. The three-pronged vocal effort calls to mind Florida’s Jacuzzi Boys or even Hungry Gayze. The end result yields a nerve-racking blend of prismatic psychedelic punk, loaded with razor-sharp elements and buzzing keyboards processed through effect pedals for an excruciating crunch. “Out of Control” immediately kick-starts the record with a looming sense of doom as you surf through the waves of a dark, moonlit beach. The ravaging energy spills over into “Get Away,” revealing the sharp, metallic keyboard twists in a caffeinated psych-pop anthem. 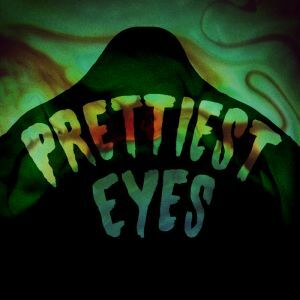 “The Eye” is a premium example of their savage synth-punk abilities, spearheaded by robotic vocal chanting, low-end bass chugging and the constant regurgitation of splattered keyboard beams. “El Huelebicho” is sung entirely in Spanish and features AJ Davila & Kianí Medina. “Not Okay” slowly boils in a grunge-coated cauldron – the pot is swirled by a swell of scaly guitar textures and rumbling bass as Pachy moans and wails in agonizing fashion. Album closer “Sorry” wraps us up tight in a mystifying cocoon of motorik twilight. The rhythmic synth buzzsaw is in full effect, grabbing us by the throat and never unhinging its mechanical jaw for nearly 5 minutes. The record closes out on a stormy sea of noise after challenging your ears one track at a time. When it’s all said and done, do you dare take another plunge right back into sonic oblivion? Get your fill of the LP below – once it sinks in, you’re toast. BUY the LP from Aagoo Records ! 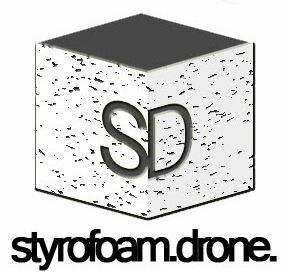 Posted on February 27, 2015 by styrofoamdronePosted in LP, ReviewsTagged Aagoo Records, electronic, Looks, noise rock, Prettiest Eyes, psychedelic, punk.